ingredients plus shrimps. Great for potluck, parties or get together. 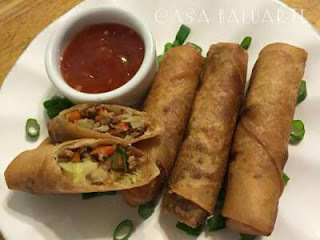 See related Lumpia Recipes below. 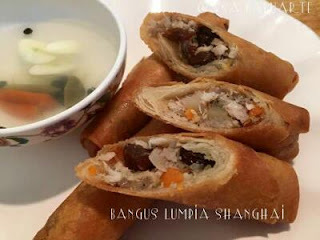 In a large bowl, combine ground pork, water chestnut, carrots, celery, onion, garlic and egg. Season with salt and ground pepper to taste and mix well. Heat deep pan or a deep fryer. Add enough cooking oil to cover the lumpia while frying. 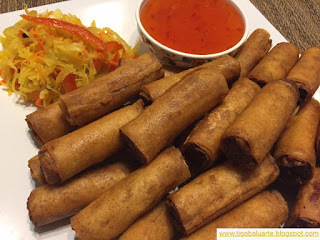 Make sure cooking oil is hot enough before adding the lumpia. 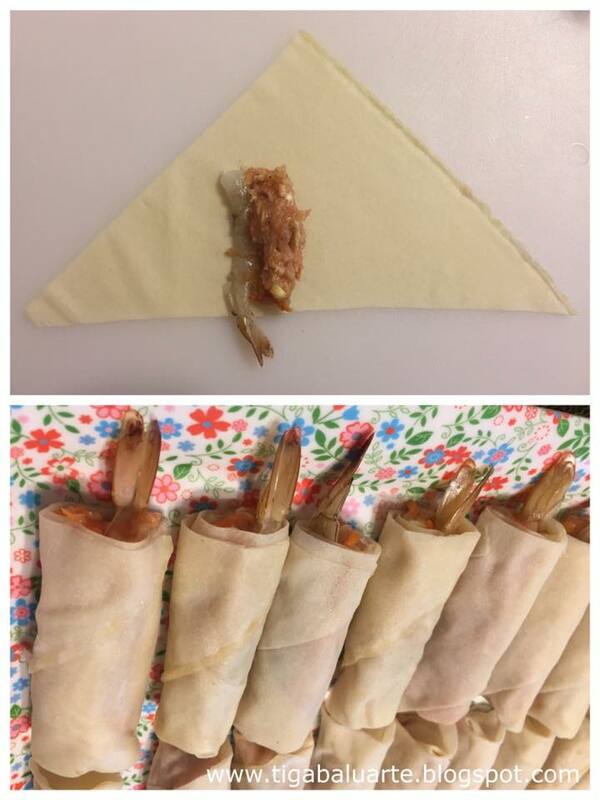 Fry lumpia by batch until it turns golden brown for about 3-5 minutes. Remove cooked lumpia from the oil and drain excess cooking oil. 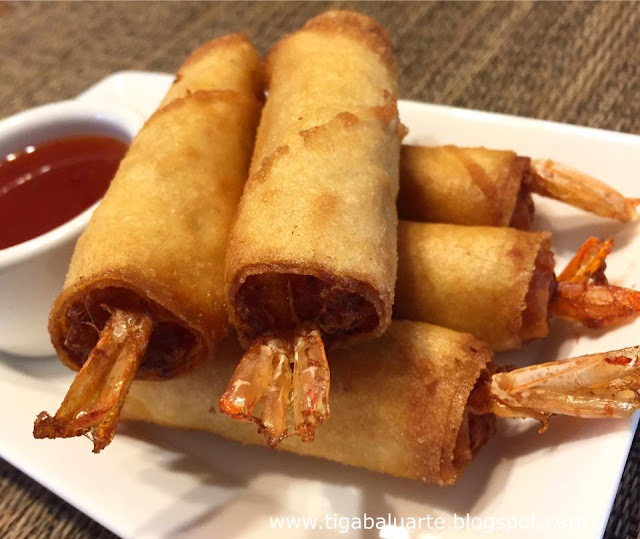 Place in a serving plate and serve with your favorite dipping sauce like garlic vinegar or banana ketchup or sweet and sour sauce. Enjoy!